© 1999-2019 electronicplastic.com - All rights reserved. 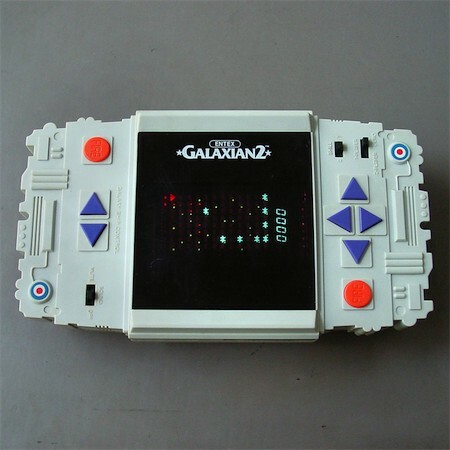 Excellent 2-player space shooter, with very special case design. Its shape and structure is made to look like the exterior of a spaceship (like from Battlestar Galactica). Bright display with multi-coloured sprites and dancing stars in the background. 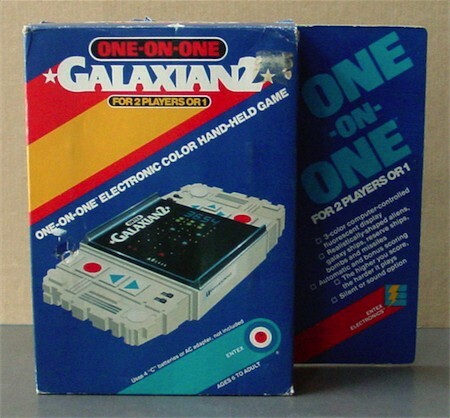 Also released as this foreign version for Australia by FUTURE TRONICS. 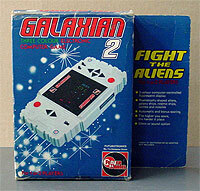 or as Astro Galaxy (Japan) and Astro Invader (Europe). Send your comments or corrections.